Please indicate the quantity or weight required for each article selected. You can finalize your order by clicking on the corresponding button or continue your shopping using the scrollable menu at the bottom of the page. You will also be able to enter a special address for delivery. The purchase order outlines the details of your purchases, indicates the shipping costs and the total amount due. By selecting a payment card you will be given access to the secure mode where you can enter your card details in total security. What pack sizes are available? Loose-leaf tea is sold in bags of 100g and bags of 500g (not available for all teas). You benefit from a discount of 5% for the purchase of a 500g bag and 10% for the purchase of a pair of 500g bags (unit prices already include these discounts). Some teas are also available in canisters and muslin tea bags. After checkout, you will receive an order confirmation by email. You can select another recipient for delivery, in order to send a gift and enclose your personal message. You will be asked to check the corresponding box and to type your message in the corresponding fields. A letter with your personal message will be enclosed with the parcel, packaging will be standard and the invoice will be sent to you by mail separately if asked. Do not hesitate any longer, give the gift of tea! Send us the contact form in an e-mail with as many precise details of your problem as possible. Please give details of your operating system (e.g., Windows XP, Mac OS X, etc.) and the browser you use (e.g., Internet Explorer, Firefox, etc.). To ensure secured online transactions, payments made by bank cards on the Palais des Thés site are processed using the SSL protocol. It automatically checks the validity of user-rights for payment and encrypts all data exchanged to ensure maximum confidentiality. Accepted credit cards for the online secured payment: VISA, EUROCARD, MASTERCARD. Our customer service will be pleased to answer your questions or take your order. Orders by telephone are welcomed: (212) 813-2882 Monday to Thursday from 9am to 6pm and Friday from 9am to 5pm. You automatically receive an order confirmation e-mail sent to the indicated address as soon as you have confirmed your order. All orders are sent using the colissimo tracking service and delivered against a signature. The shipping costs are calculated automatically according to the country of delivery and the weight of the order. The average delivery time observed is between 4 and 12 days, depending on the destination. Contact us using the contact form. Please send us your order number so that we can answer you as quickly as possible. To place an order and access our services, you must create a customer account. Palais des Thés undertakes to protect your personal details and to handle them in the strictest confidentiality. To create an account, see the "My account" section at the top of this page. You can modify your information at any moment via your account: see the "My account" section at the top of this page. If you have forgotten your password, there’s no need to create a new account; you can reset your password immediately and in complete security: see the "My account" section at the top of this page. If you have any questions, please do not hesitate to contact our customer service by e-mail or by telephone (contact details at the bottom of this page). If you want to see the plantations, receive all the latest tea news or hear about new products, favourite picks and special offers, why not subscribe to our newsletter by entering you e-mail address in the relevant field at the bottom of this page. Palais des Thés adheres strictly to Law 78-17 of 6 January 1978 relating to “Informatics, Files and Civil Liberties” as well as the resulting ethical principles relating to any personal information you may be asked to provide us within the framework of an order placed via our website. This personal information is protected, declared to the CNIL (the French national commission on informatics and liberty) and reserved exclusively for use by our production staff. You have the right to access, modify, rectify and delete your personal data. To exercise this right, please write to: Palais des Thés, 64 rue Vieille-du-Temple, 75003 Paris. You can also send us an e-mail using the contact form. The Palais des Thés website is registered with the CNIL: numbers 1085600 and 1085601. 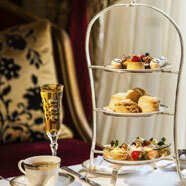 How many teas are available in Palais des Thés' collection? Approximately 250 loose teas are available, teas from different countries of origin (China, Japan, India...) and of all types (white tea, green tea, black tea, flavoured tea...). They are offered in different packagings: packets of 100 g, 500 g and 1 kg, caddies and muslin tea bags. What types of flavourings do you use? Natural flavourings which exist in nature and are obtained by extracting aromatic substances contained in spices, citrus zests, flowers and even fruits, for example. 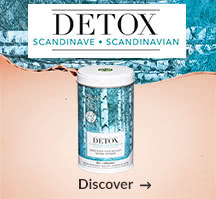 Synthetic flavourings which reproduce nature if the aromatic substances are difficult or impossible to extract (the vanilla flavour of cream desserts, for example) or are an entirely artificial creation (the “cola” flavour of sweets, for example). 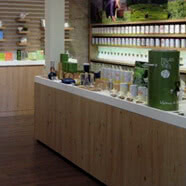 Palais des Thés attaches great importance to the naturalness of its teas and infusions. 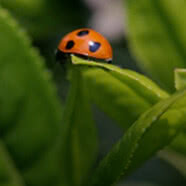 That is why we favour natural flavourings in our creations and avoid entirely synthetic creations. All our flavourings are sourced exclusively in the European Union, thereby ensuring their quality. I cannot find the tea I want to order. Is it still available? You can look for a tea using the search menu or module (enter the tea's name). If you cannot find the tea you are looking for, then it may be temporarily unavailable or out of stock (our vintage teas are only available in very small quantities). Could you send me your catalogue? We do not really have a catalogue. All our teas are available on the web site. If you like, we would be happy to send you our price list by post, along with an order form. Then you can place an order without using the web site and you can pay either by bank card or cheque. 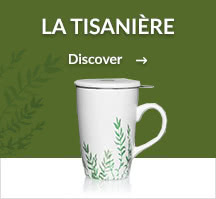 We also offer a wide range of tea "discovery" box sets (see the gifts section). 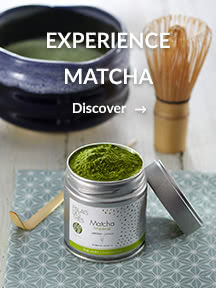 Free samples are added to your order in order to enable you to taste different types of teas. See our dedicated page. How to prepare my tea? Preparing tea is an essential condition to making the most of your infusion. See our infusion chart for good quantities and times. 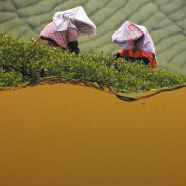 A lot of things are said and written about tea. It is sometimes difficult to know what is actually true. We would like to invite you to read our Tea & health special page. If you want to be informed regularly of our new offers, our favourites and our special offers, then join our mailing list to subscribe to our newsletter. Enter your e-mail address in the field provided at the foot of this page. Do not hesitate to contact our experts by e-mail or phone (see the contact details at the foot of this page). Keen to reduce the impact of its activity on the environment, Palais des Thés adopted a general eco-responsible approach as far back as 2008. Our catalogue therefore includes a selection of products carrying the Organic Agriculture label in accordance with the standards of the European Union. Find out more. In accordance with regulation EC 1169/2011 on the provision of food information to consumers, Palais des Thés informs its customers of the presence of allergens in its products, indicating the allergens in bold type in the list of ingredients. What is the Tea School? 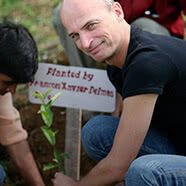 The Tea School offers outstanding courses that reveal the secrets of this ancient drink and the art of tea tasting. 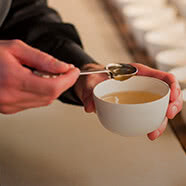 Its expert tea sommeliers teach their craft to newcomers and connoisseurs alike, in classes to stimulate the mind and the senses. Whether you are taking your first steps in tea, are interested in the art of tea tasting, want to learn about pairing tea with food, or dream of experiencing a Cha No Yu ceremony, the Tea School is for you. 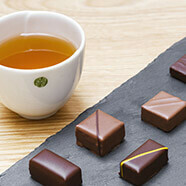 Today, the Tea School has locations in New York and Moscow as well as Paris. It was established in Paris in 1999 by François-Xavier Delmas, founder of Palais des Thés, and Mathias Minet, expert blender of flavoured teas. How do I enrol for the Tea School? 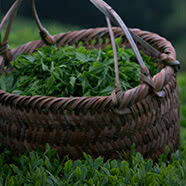 We invite you to consult the Tea School lesson schedule on this page. Which means of payment are accepted? You can pay by bank card. Enrolment only takes effect upon receipt of payment.